Summary: This is a Dark Peak walk I would love to do but at the time of writing I had not got around to. So special thanks to Ken Jagger, who originally devised the walk, and Steve Horsfall for sharing the walk with you and me. I am grateful to Steve for the pictures and the walk summary. 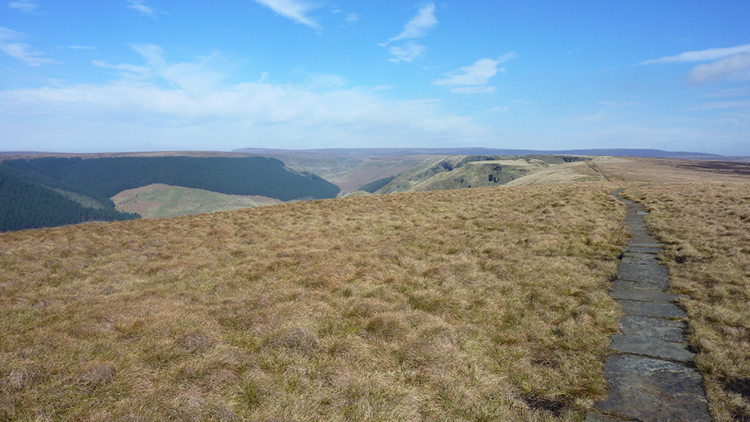 The route sets off from the car park at Ladybower Reservoir and heads north-west climbing beside Locker Brook to Rowlee Pasture and continuing on airy high ground at around 480 metres elevation on an easy level footpath across the edge of Rowlee Pasture to the Alport Castles outcrops, the objective and clear highlight of the walk. 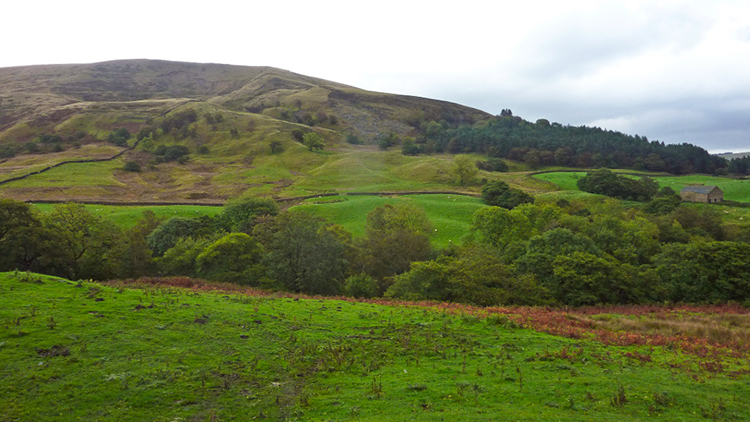 After exploring the fascinating sight of landslip formation to walk heads down into Alport Dale and then on to Ashop Dale before tracking back to Locker Brook and returning to Ladybower Reservoir. 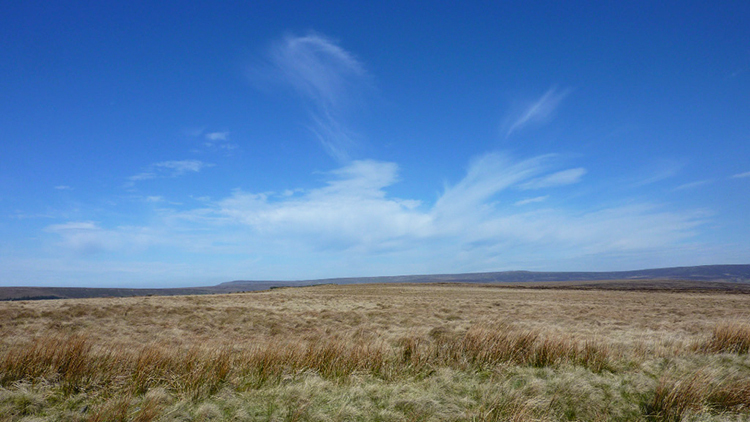 Steve had written to me saying "Mike, I have been looking at your walks in the High Peak area and noticed that you don't have one to Alport Castles, starting from the Fairholmes Visitor Centre near Ladybower Reservoir. I can thoroughly recommend the walk of approximately 9 miles. 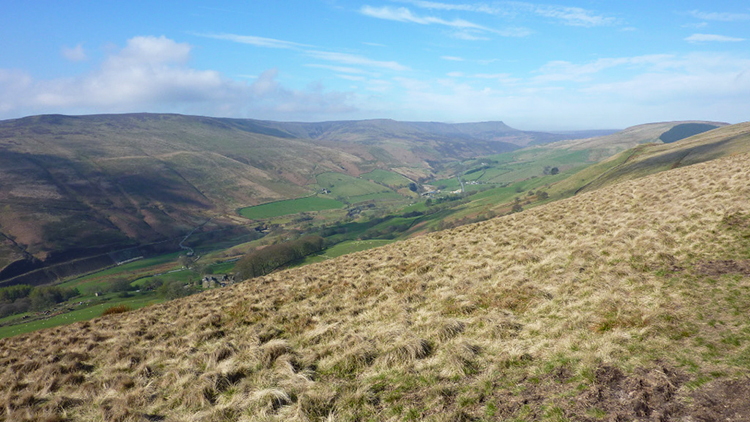 Although slightly longer than what might be classed as a medium walk, this walk has great views from the ridge above Alport Dale. It starts with a climb through the woods to Lockerbrook Farm and then to Bellhag Tor and then along the ridge to Alport Castles. 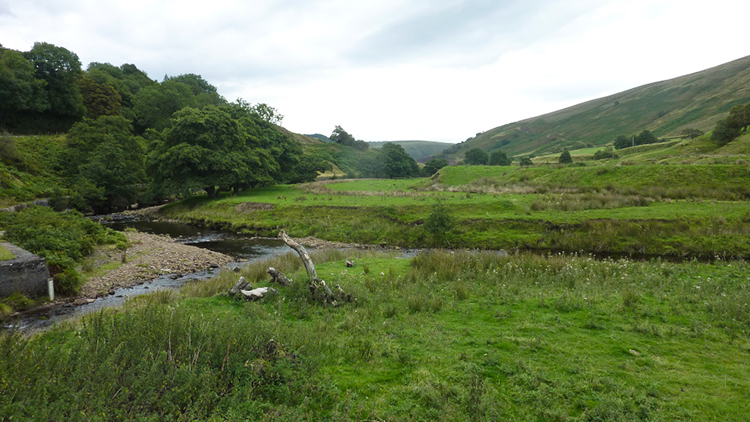 The return is by descending to Alport Farm via Alport Dale, after crossing the A57 again towards Upper Ashop, Rowlee Bridge, Rowlee Farm to Lockerbrook Farm and then descend through the woods to the car park. After the initial climb through the woods much of the walk is on relatively level ground on good footpaths and tracks. 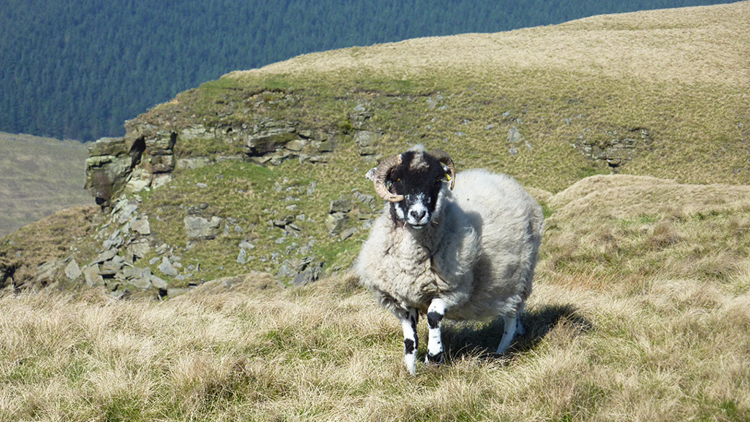 The final climb to Rowlee Farm is not as demanding as the first climb followed by the descent back to the start". Steve elaborated with further detail, saying The walk can start in the Fairholmes Visitor Centre that has toilet facilities, but has parking meters, or in a lay-by about 400 yards from the Visitor Centre where at the time of the walk in October 2017 did not have parking meters. Climbing through the woods to Lockerbrook Coppice and to Lockerbrook Farm is a steady climb of 250m but once out of the way the ascent is much gentler on good tracks and open moorland. Look out for flowers in the woods in spring and early summer and fungi in autumn. One up on Rowlee and Birchinlee Pastures the views are extensive with good views down Alport Dale to the left. 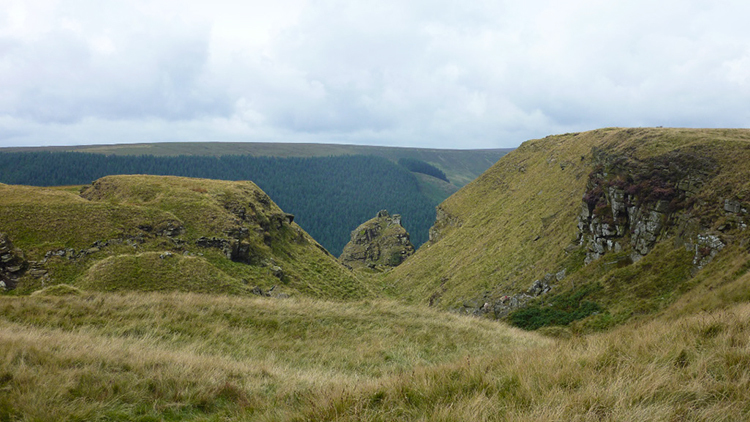 Alport Castles appear s in the distance quite suddenly and offers great views. 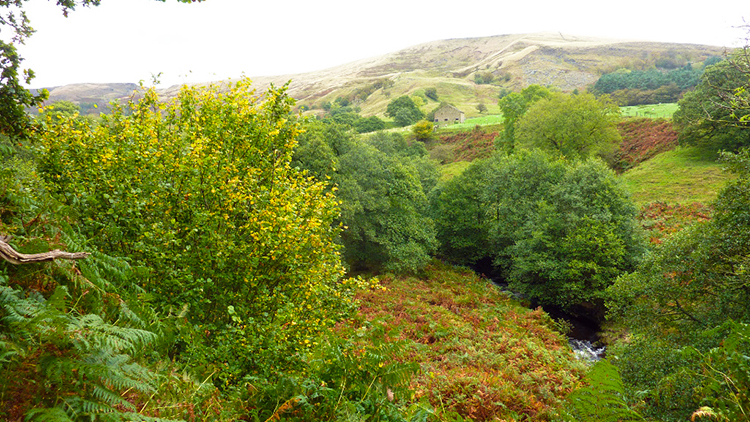 The best view of the Tower is from near Birchin Hat looking back down Alport Dale. 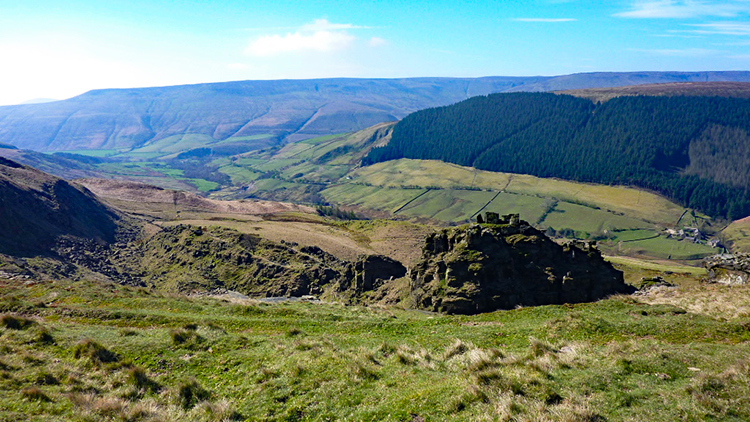 Resuming Steve's report he adds "The descent to Alport Castles Farm can be tricky in places with quite steep and sometimes slippery underfoot conditions, especially after rain so care needs to be taken. Once the farm has been reached the track back along Alport Dale is good and level so good progress can be made. Look out for the footpath the descends off the track to the left to take you down to Alport Bridge and beware the A57 as the track exits straight onto the road. Crossing over the road you can either paddle across the River Ashop at the ford, or go over the adjacent bridge to gain the far side. Steve's summarised report of the walk ends with "Follow the track to Upper Ashop and keeping left as the track descends to Rowlee Bridge. The final climb of the walk crosses the A57 again and up the road to Rowlee Farm and finally levels out near Woodstock Coppice. 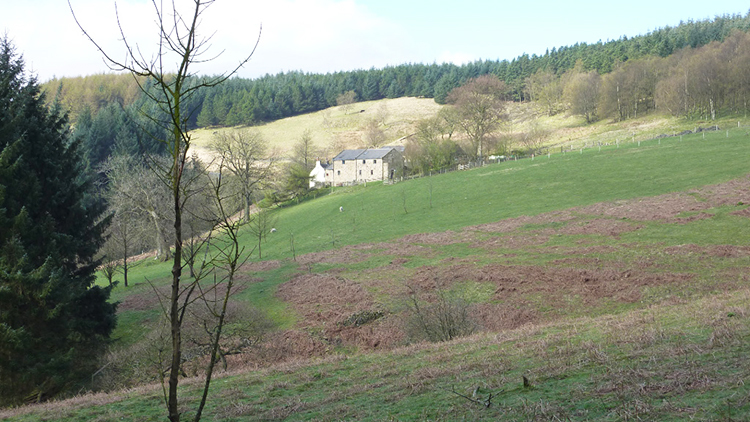 The walk then retraces the route past Lockerbrook Farm and down through the woods to the car park". Thank you Steve, now I am going off to do this walk myself, the next time I visit family in Sheffield. Should conditions be right that is, I cannot wait to see the spectacular Alport Castles and the views from them for myself.